Help! 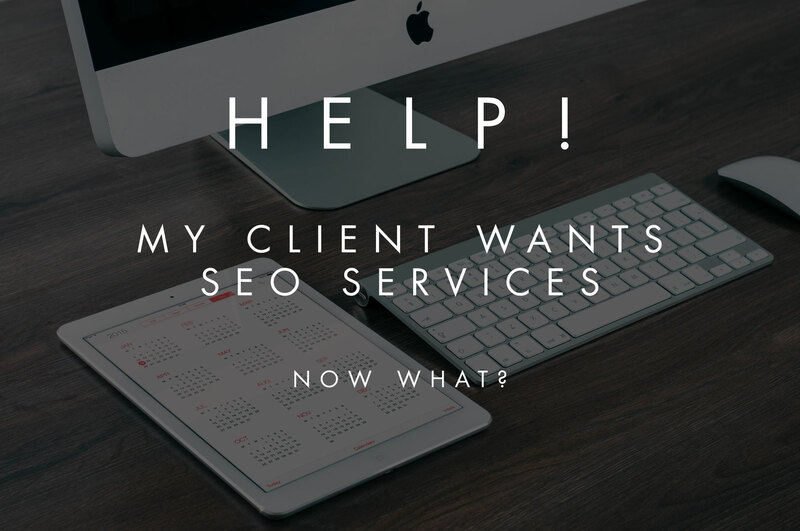 My Client Wants SEO Services. Now What? [toc]If you’re involved in web design, then you probably know a little bit about SEO. In the past, web/graphic design and search engine optimization were often seen as being disparate — hardly any overlap whatsoever. Now, fast forward to 2016, and things have changed considerably. Maximizing the potential of a website requires the incorporation of sound SEO techniques. Effective lead generation and conversion optimization demands the implementation of fundamental SEO practices. If you make your way around in the online world, you randomly pick up bits of knowledge from other fields. You read stuff. You do stuff. You learn stuff. And it’s easy to see why they’re asking. SEO gets results. Here are a just a few statistics that demonstrate just how potent SEO is. “70 percent of the links search users click on are organic. Since you’ve designed their website, they know want to know if you can do SEO. In their world, you’re the authority on all things website, so it makes sense that they’ll ask you first for SEO services. It’s a great point to ponder. You’re a design shop, right? Should you be offering SEO services? Should you say “yes” if a client asks? Should You Offer SEO Services? Let’s be honest. Learning SEO isn’t something that happens overnight. It’s a multi-faceted process that’s constantly evolving. You can’t just snap your fingers and instantly become an SEO expert. Maybe you’re not even sure exactly what SEO is or what it entails. Furthermore, you’re not sure if you should do it for your clients. Maybe you’re better off simply sticking with your primary niche of web/graphic design. In order to determine what your best move is, you’ll want to ask yourself a few key questions. I’ve provided five questions that will help you gain some clarity as you work through this issue. These five should just be considered a starting point. You’ll probably come up with additional thoughts that will impact your decision making process. Does This Service Align with Our Capabilities? SEO has evolved dramatically over the years. It’s basically gone from doing a little keyword research and peppering the right keyword phrases into your content to an incredibly robust set of practices. This change has primarily been fueled by Google’s continual algorithm updates to ensure that search engine users have the best possible experience. To get a better idea of what goes into SEO, let’s take a look at the key services that most U.S. SEO agencies provide. This graph from Moz gives you a basic overview. Let’s also look at what the most important search engine ranking factors were in 2015. As you can see, there’s quite a bit involved with the process. Besides just the on-site techniques, there is a whole suite of off-site techniques such as link building, social media and so on. Effective SEO can be a fairly arduous process, and it takes time to master. I’ve been doing SEO for eight years, have held director-level SEO positions, and yet still feel like a complete novice sometimes. If you have zero experience with SEO, there’s going to be a learning curve. However, this should by no means deter you from offering SEO services to your clients. Once you understand the fundamentals, it becomes much easier. It’s simply a matter of understanding the logic behind search engine algorithms and the ranking factors that Google and other search engines take into account when determining where to rank content within their results. What all is Involved with SEO? A consultation where you discuss your potential strategy, pricing, scope of the project, etc. Will SEO Distract us From our Core Competency? One of the main concerns for many web/graphic design designers is whether or not SEO will detract from their ability to focus on their primary services. In other words, will SEO be a distraction and inhibit you from performing your core competency? Although every situation is a little different, there’s no reason that adding SEO to your repertoire should prevent you from still providing your core services and operating at a high level. While it’s true that it will require additional effort on your part, it shouldn’t be a major hindrance in the long run. This is especially true if you choose to outsource the bulk of these services rather than doing them in house. For instance, many companies choose to partner with a professional agency, which we’ll talk about in a bit. Will SEO Provide More Revenue? Perhaps the most important thing to consider is whether or not it makes sense from a business standpoint. Will providing SEO services help you bring in significantly more revenue? 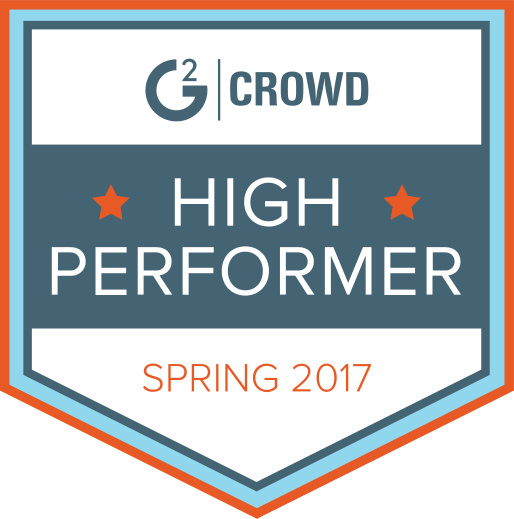 Will it be worth the investment of hiring someone, outsourcing the services, navigating the complexities, or purchasing the software? To answer this question, let’s take a look at how much average U.S. SEO consultants and agencies were earning in 2013. This information is based on three different pricing models. The first pricing model is a monthly retainer. As you can see, the most common earnings ranged anywhere from $2,501 – $5,000 per month. The second model is project-based pricing. The majority of consultants/agencies earned between $2,501 – $5,000 per project. Finally, there is hourly rate pricing. On average, most consultants/agencies charged somewhere between $101 – $150 per hour. Based on this information, it’s fair to say that there’s pretty good money in providing SEO services. It can be an additional source of revenue and most definitely increase your overall profitability. Let’s say that you’re interested in adding SEO services to the mix. What options do you have that will ensure that you get achieve the results your clients are looking for while at the same time maximizing your profitability? This is perhaps the most straightforward approach you can take. As the name implies, this involves providing SEO services to your client in house where everything is done by you and your immediate team. The Pros – This should provide you with the maximum revenue. Because you’re not outsourcing anything, every dollar you make stays with your company. The Cons – You obviously have to know your stuff and be highly effective at SEO, or you’re unlikely to get legitimate results. Everything falls on you, so there’s definitely an added pressure. If a client hands over a considerable portion of their marketing budget to you and you don’t get results, things can get ugly in a hurry. This is also the most laborious and time-consuming approach. In some cases, this can be a distraction from your core competency. Quora defines this term as “an arrangement where two companies partner together for the sales and delivery of SEO services and share in the profit from the sale.” It’s also known as an SEO reseller. The Pros – This increases your likelihood of getting favorable results for your client. By partnering with a professional who understands the ins and outs of SEO, you’ll be in a better position to help your client’s website and content climb the rankings. Going this route should also free up more of your time so that you can focus more fully on your core competency, which can reduce your workload (and stress). The Cons – It’s going to eat into your profit margins. While this probably won’t be a big deal and will still be worth your while if you’re charging a sizable rate, it can be problematic if your earnings were meager to begin with. A third option is to outsource this area entirely. This is the most hands off approach, and you simply do what you’re great at (web/graphic design) and let a third-party SEO agency handle the rest. The Pros – You should be in good hands and are highly likely to get genuine results. A professional agency will know exactly what it takes to obtain success. If you’re apprehensive about taking on the SEO process yourself, this is usually your best move. The Cons – It can be costly. As mentioned earlier, SEO doesn’t usually come cheap, so this can quickly cut into your profits. Of course you’ll seek to get these services at a discounted rate. But in some cases, the expenditure may negate the initial benefits of providing your clients with SEO services in the first place. What Kinds of SEO Services Should I Offer? The next thing you’ll need to figure out is which specific services to offer. This resource from Moz will provide you with a much more in depth look at the elements of on-site optimization. You can learn a lot more about this process by checking out this resource from Quick Sprout. Link building – Most SEO experts would agree that this is the backbone of SEO. It’s also the riskiest and most time-consuming. This graph from Moz illustrates just how big of an impact link building has. According to Moz, domain-level, link authority features account for 20.94 percent of ranking factors, and page-level link features account for 19.15 percent. So that’s just over 40 percent total. For this reason, link building is one of the most important services you can offer. Getting links from high-authority, relevant sites is particularly vital for a well-managed SEO campaign. Reporting – You could make the argument that in order for SEO to thrive, it demands that you look at a wealth of data to analyze campaign performance. Proceeding blindly or merely relying on a hunch just won’t cut it these days. That’s why it’s strongly suggested that you utilize some type of reporting to see how a campaign is performing and which areas need to be adjusted. This can be something as basic as using Google Analytics, which is currently estimated to be used by as many as 30 – 50 million websites. It’s sufficient for many campaigns, and the basic version is completely free to use. To be truly effective, it’s helpful to have a robust reporting platform that not only gives you data, but helps you understand how to act on it. Monitoring – Finally, there’s monitoring. It’s important to remember that SEO isn’t “a set it and forget it” strategy. It requires ongoing tinkering and tweaking to maintain the results you initially achieve. For instance, just because you get your client’s content in a top ranking position doesn’t mean that it’s going to remain there. SEO is extremely competitive, so you could easily find that a competitor has outranked you in time. That’s why most clients will want you to continually monitor their progress and make sure that they’re not losing any ground. You’ll definitely need to consider how much or how little of these services you would like to offer. For more complex areas such as technical SEO, you’ll want to think heavily about how comfortable you feel handling this. If you feel like this simply isn’t something in your wheelhouse, you’re probably better off outsourcing it to a professional. With SEO playing such an intrinsic role in online marketing these days, it makes sense that your clients will want to know whether you can handle SEO or not. If you haven’t received any direct inquiries yet, you’re almost guaranteed to be asked about it sooner or later. Accordingly, it’s important to carefully consider whether going this route makes sense for your company. You’ll need to keep in mind the implications of adding this service and if it will add to your bottom line. And while this choice is ultimately up to you, it’s necessary to point out that offering comprehensive services with SEO in addition to web/graphic design can be a major selling point.